You've heard of Record Store Day. You've heard of Free Comic Book Day. 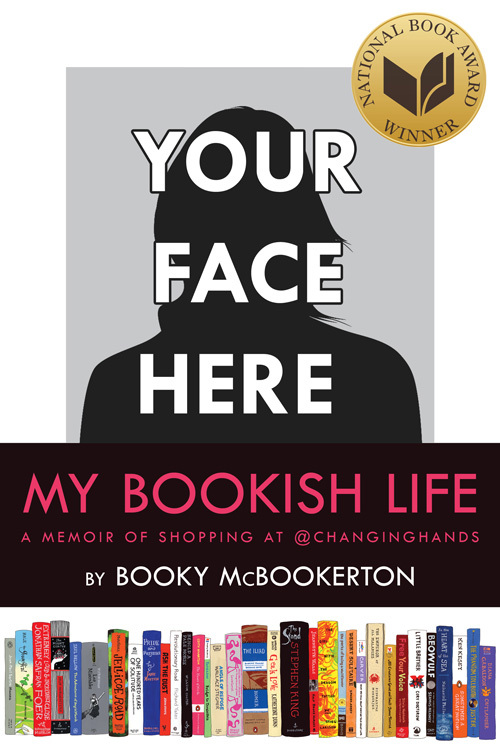 Now there's Independent Independent Bookstore Day, a nationwide celebration of indie bookstores like Changing Hands! We're joining over 500 independent bookstores across the country for parties, author readings, in-store events, and exclusive day-of merchandise. Both locations of Changing Hands Bookstore will also launch our Summer Reading Program for kids, toddlers, adults, and more. 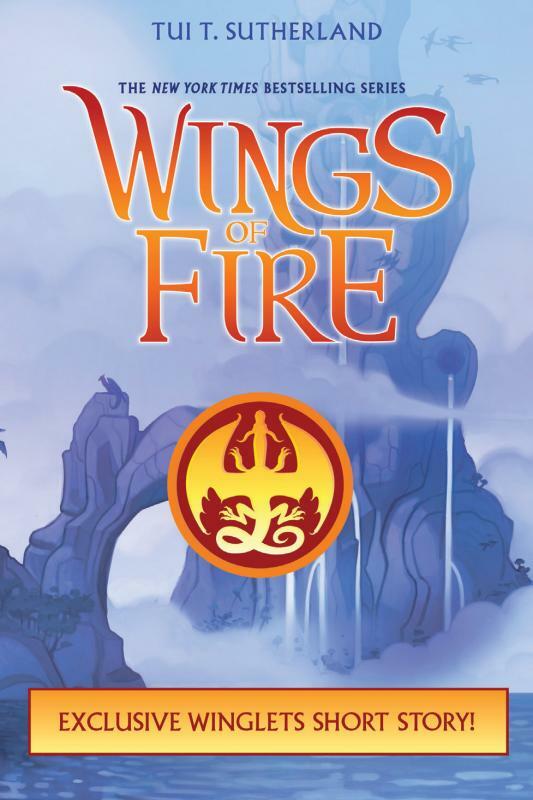 11am - 1pm | The Art of the Story: Illustrators of SCBWI Arizona: To celebrate Indie Independent Bookstore Day and the launch of Children's Book Week, Changing Hands has partnered with The Newton—home of our Phoenix store and First Draft Book Bar—to feature artwork from five local illustrators. Lynne Avril (Amelia Bedelia: Under the Weather), Molly Idle (Pearl), Stevie Lewis (Lost in the Library), Juana Martinez Neal (Babymoon), and Mikela Prevost (Let's have a Dog Party). 1 - 2pm | Booksigning with Jennifer Spiegel: The local author signs copies of her latest, And So We Die, Having First Slept. 7pm | Distant Relations concert: Join us for a concert with Distant Relations to mark their 40th anniversary since leaving Notre Dame. Distant Relations formed at the University of Notre Dame in 1977 and became well-known on campus and in South Bend, Indiana for their tight harmonies and their acoustic “folk-rock” sound in the style of Crosby, Stills, Nash & Young and America. They performed both covers and original songs until the group members went their separate ways following graduation in 1979. The group has gathered every decade or so to rekindle the old musical flame despite the fact that band members are scattered throughout the country (Arizona, Texas, Minnesota, Indiana, and Massachusetts). The group last performed in public in 2002 in Dallas, Texas. For those who like the folk-rock sounds of the 1970s, Distant Relations will not disappoint! 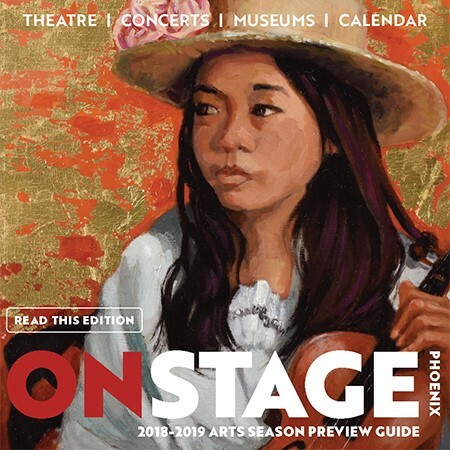 10 - 11am | Drag Queen Storytime: Changing Hands and Dottir Press are proud to partner with Nevaeh McKenzie (Miss Gay Arizona America 2015) and special guest Michelle Tea, founder of Drag Queen Story Hour, for Drag Queen Storytime with Deejay Galaxy Broadway and Sophia Sinclair. Children and adults are invited to come together for activities promoting inclusivity and love, with stories, music, a fun zodiac-themed kids' craft, and a booksigning with Michelle Tea to celebrate her debut picture book Astro Baby. Proceeds from donations will benefit Phoenix Pride Scholarship. 5:30 - 8:30pm | Mini Tarot Readings: Mystic Journeyz with Suzi Coggins. "Your Angels Are Waiting." More info: mysticjourneyz.com. To thank you for supporting Changing Hands Bookstore, we'd like to offer you free audiobooks on Saturday, April 27th - Independent Independent Bookstore Day. 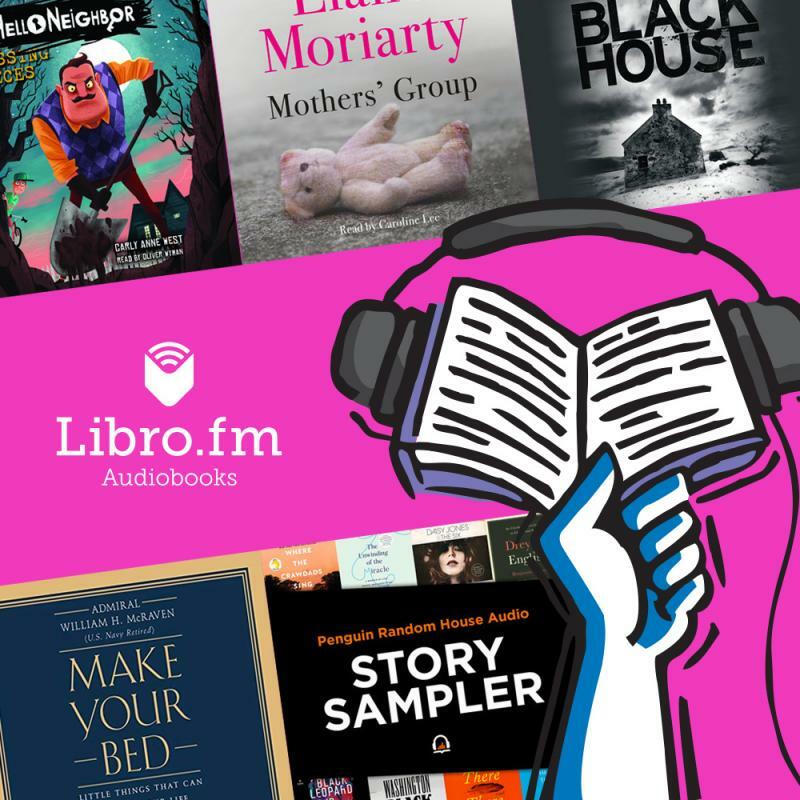 The list of select audiobooks through our partner Libro.fm include the new release Mothers' Group by Liane Moriarty, The Blackhouse by Peter May, and others which can be found here. Be sure to create your Libro.fm account now so you will be ready to get your free audiobooks on April 27th and then come celebrate at the store! 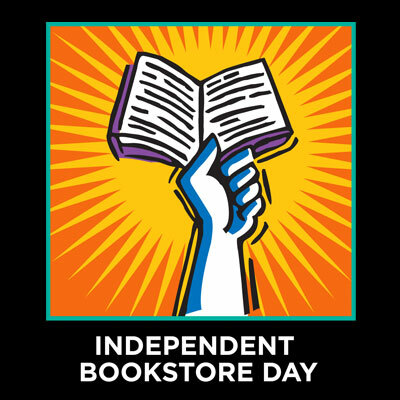 Independent Independent Bookstore Day is proud to announce a selection of exclusive books and art pieces for IBD 2019. These limited edition, unique items will be available only at participating IBD bookstores, including Changing Hands, on April 27. Not before. Not online. And not in chain stores! Remember, these items are both limited in quantity and available in-person only at either Changing Hands Bookstore on Saturday, April 27. We are not allowed to take pre-orders or reserve items. Fans of Toews’ darkly funny fiction have been waiting for this one. And we have an exclusive signed edition with a redesigned, IBD-only cover. 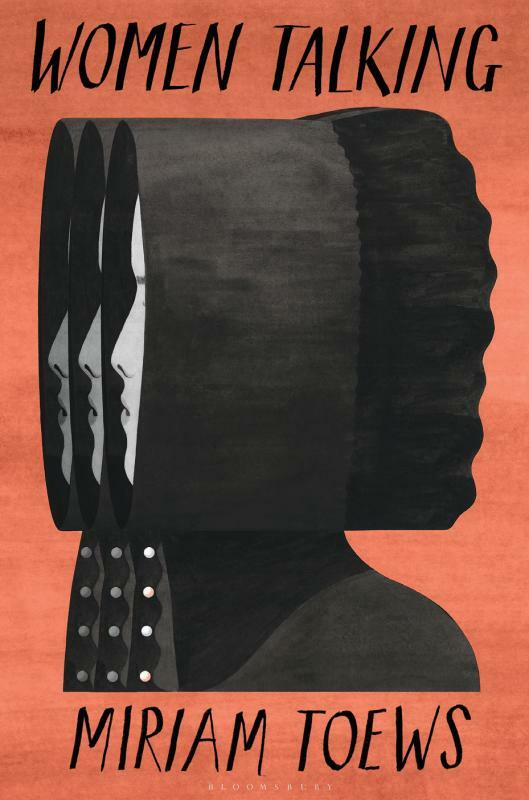 Women Talking is a transformative novel — as completely unexpected as it is inspired — based on actual events that happened between 2005 and 2009 in a remote Mennonite community. The message for our era, brought to you by a special partnership between Pantheon and Out of Print. 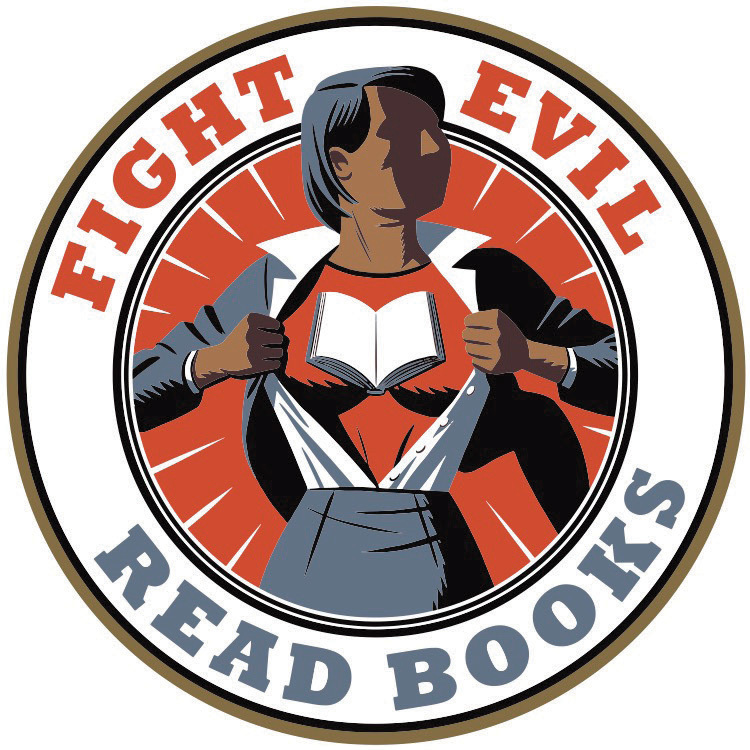 Show your reader pride and fight evil with this IBD-exclusive! 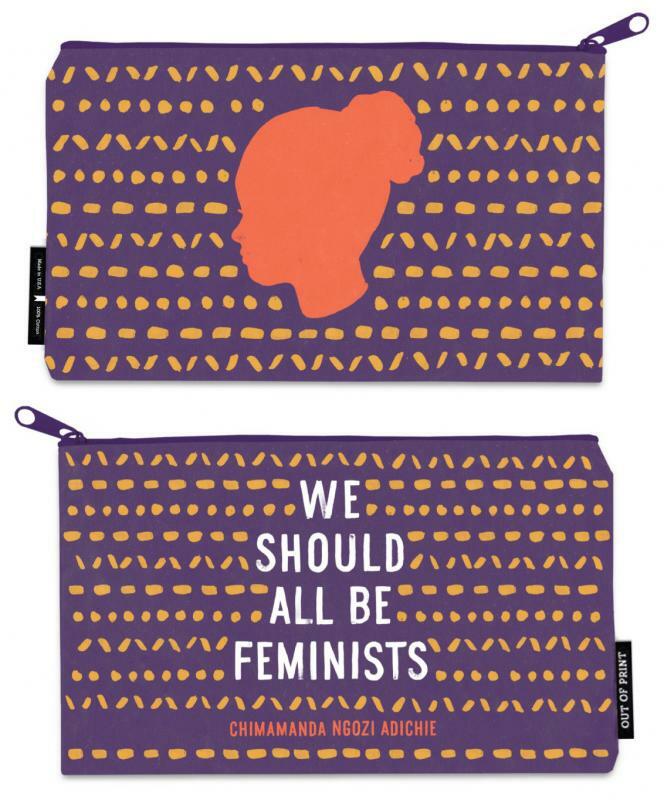 A handy canvas pouch featuring a quote from Chimamanda Ngozo Adichie’s “We Should All be Feminists”. 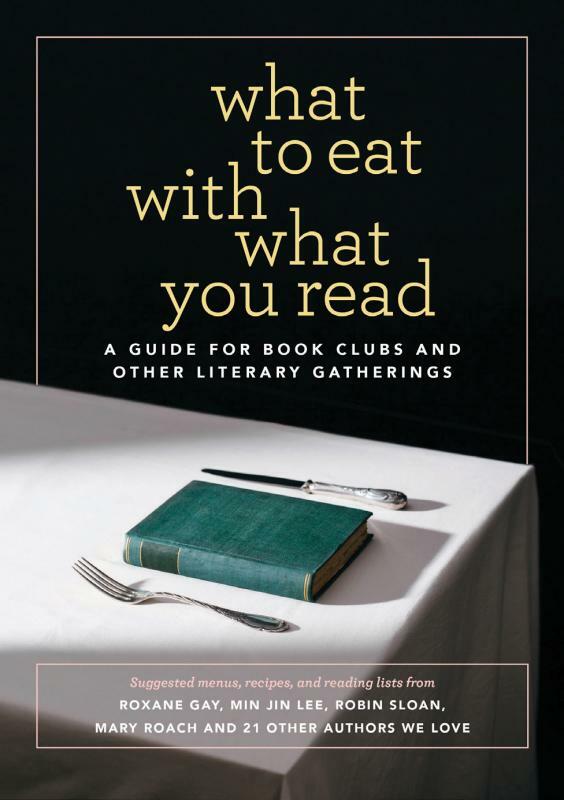 A companion to last year’s IBD bestseller The Book Club Journal, comes this funny, helpful guide with reading lists, recipes, and menu suggestions from 25 of our favorite authors. This IBD-only special edition will pub on Bookstore Day, 3 days before the offi cial paperback release. 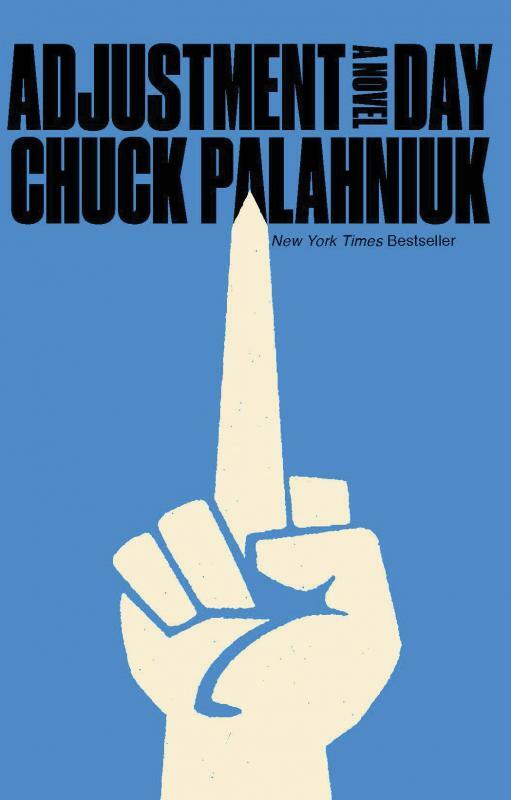 Adjustment Day, the author’s fi rst novel in four years, is an ingeniously comic work in which Chuck Palahniuk does what he does best: skewer the absurdities in our society. 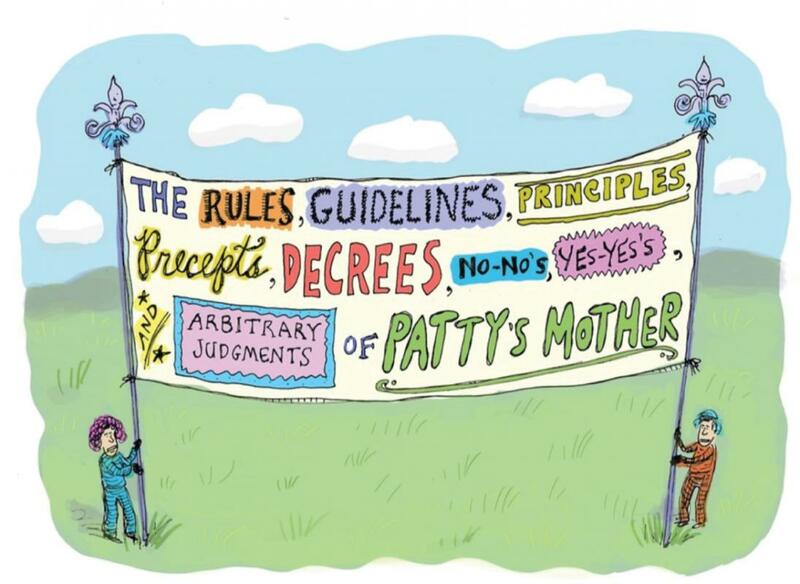 This hilarious collaboration between Roz Chast and Patricia Marx is a collection of witty (and real!) pieces of advice New Yorker writer Patricia Marx got from her mother. Our exclusive edition is signed with a special IBD-only jacket. Every year we create our signature “Bad Citizen” Graffi ti Stencil to highlight the authors and the words that push us to think, read, and be disruptive when necessary. 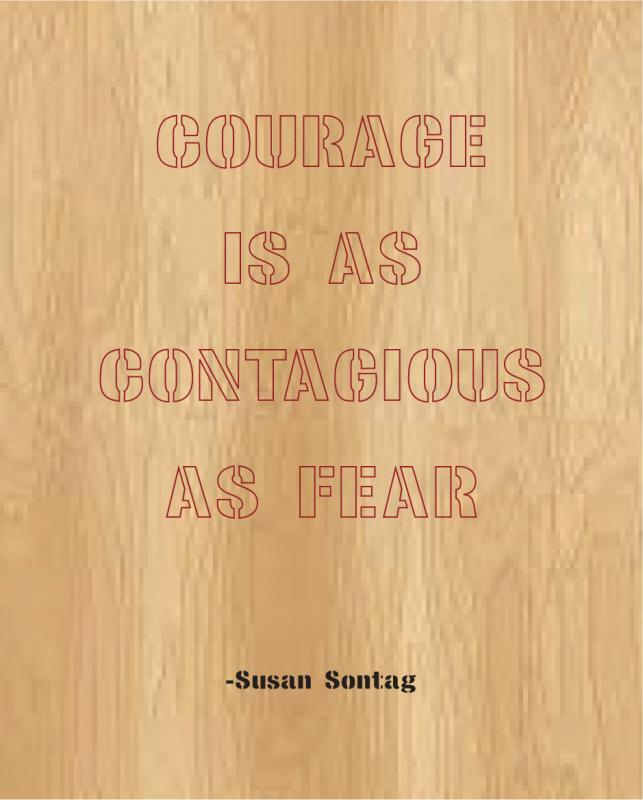 This year’s stencil features a timely quote from Susan Sontag: Courage is as contagious as fear. We certainly hope so. Features exclusive selections and additional material from the Run with the Hunted recording session. This is real Bukowski in his real voice, sandpaper and all. 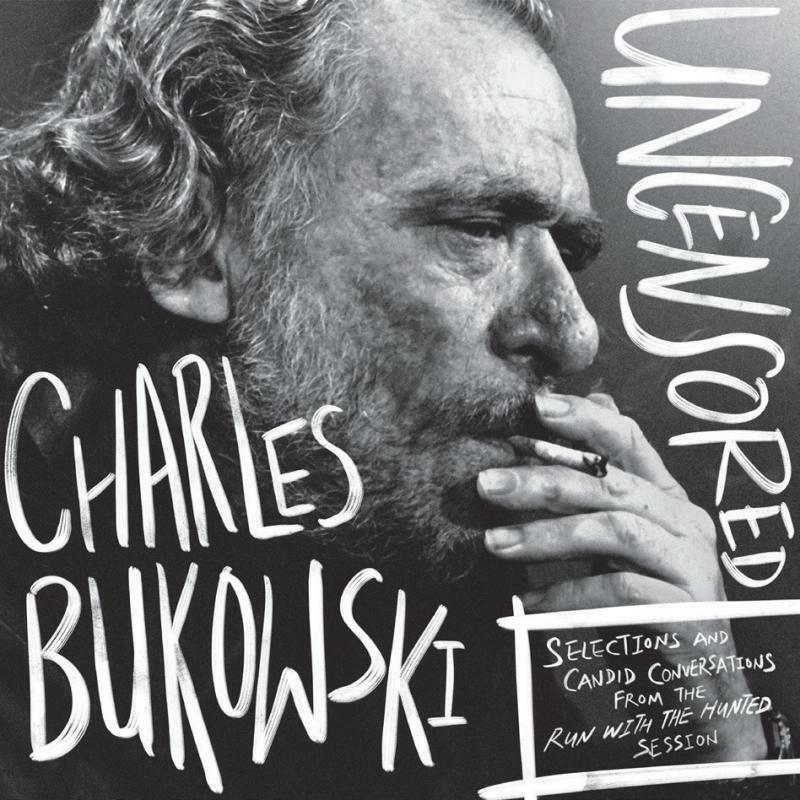 In 1993, the year before he died, Bukowski recorded and published selections from his classic Run with the Hunted. This exclusive vinyl edition features these selections along with additional material from that recording session including candid conversations between Bukowski, his wife Linda Lee Bukowski, and his producer. This is a true must-have for the Bukowski fan. 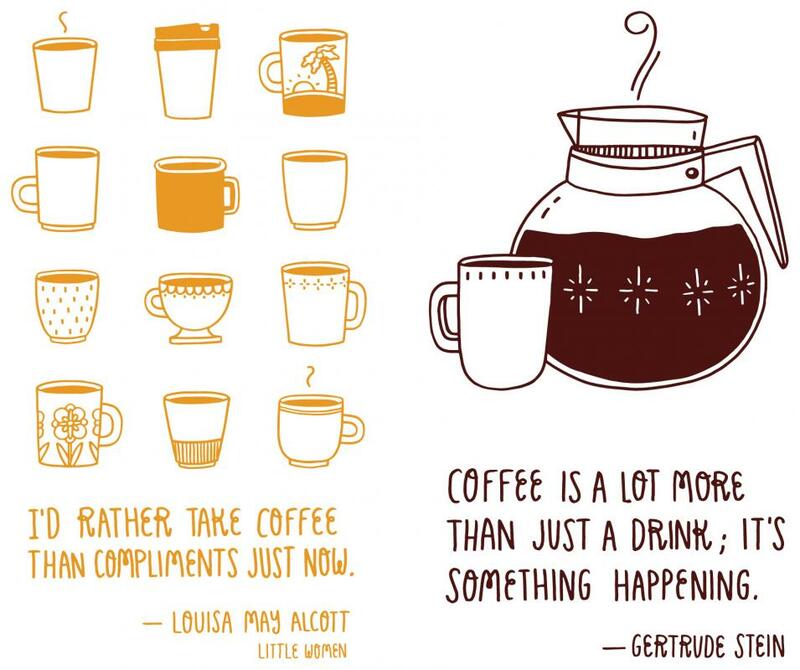 This year’s tea towels feature coffee-centric quotes from Gertrude Stein and Louisa May Alcott. Show off your favorite authors with these laser-cut wooden pins. An IBD-exclusive from Letter Craft. 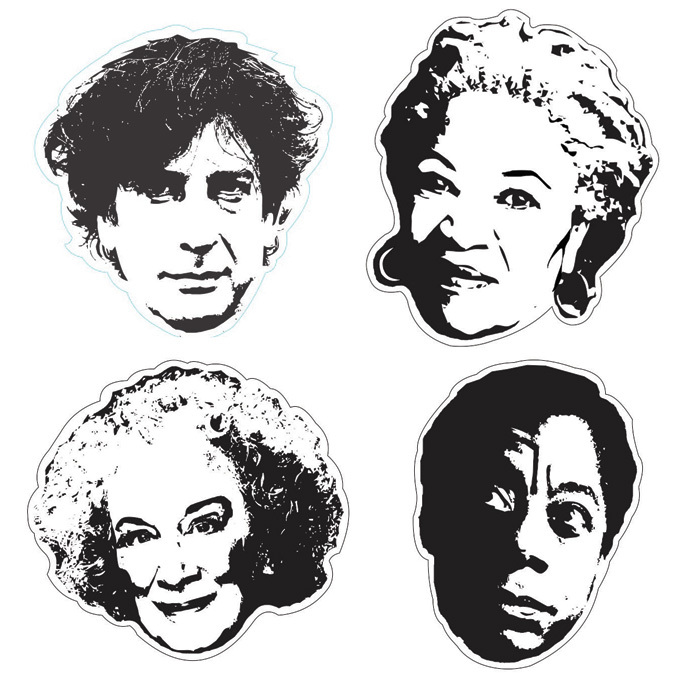 Neil Gaiman, Toni Morrison, James Baldwin, and Margaret Atwood available. From the creative team that brought you the groundbreaking Eisner-nominated series Mockingbird, this trade paperback collects the first story arc (#s 1-4) of the unconventional comingof- age tale-including the informative survival handbook, “CAT FIGHT! 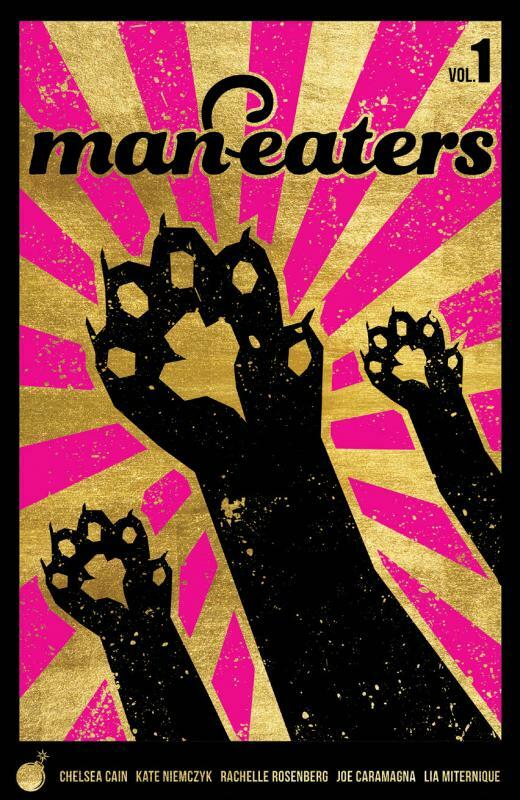 A BOYS’ GUIDE TO DANGEROUS CATS” and all-new never-before-published extras! In this full-color illustrated journal, start getting your OWN ideas down and find inspiration in a letter from Thomas and quotes from On the Come Up! 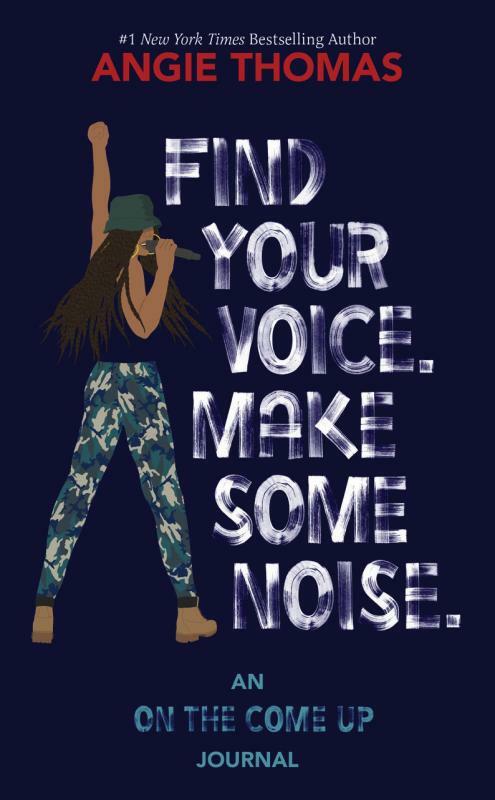 Author Angie Thomas is known for characters who learn the power of their own voices and, in speaking out, change the community and world around them. But whether it’s Starr from The Hate U Give, Bri from On the Come Up, or Angie herself—it all starts with the ideas. 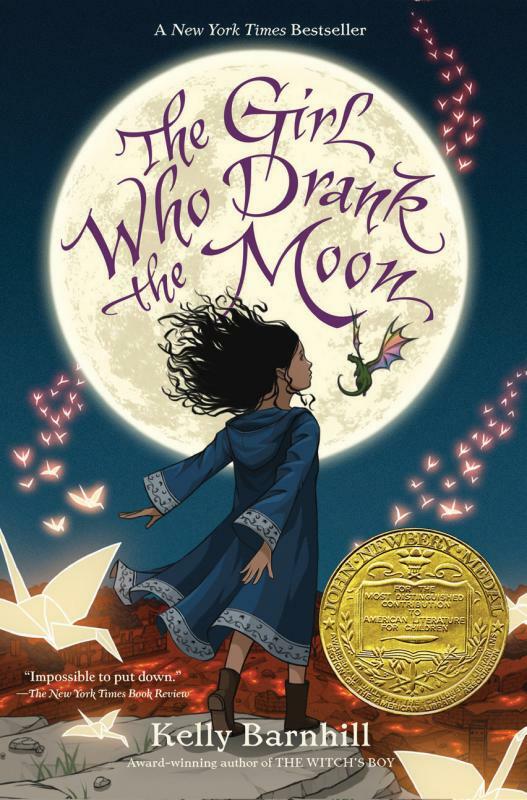 We have an exclusive signed edition of the 2017 Newberry Award winning middle grade novel The Girl Who Drank the Moon (a huge indie favorite). The regular paperback releases at the same time. The IBD edition also includes a set of high quality vinyl stickers. This exclusive mini-book contains 2 short stories never before in print, and a letter from Tui.